Behold! The quickest comic ever! 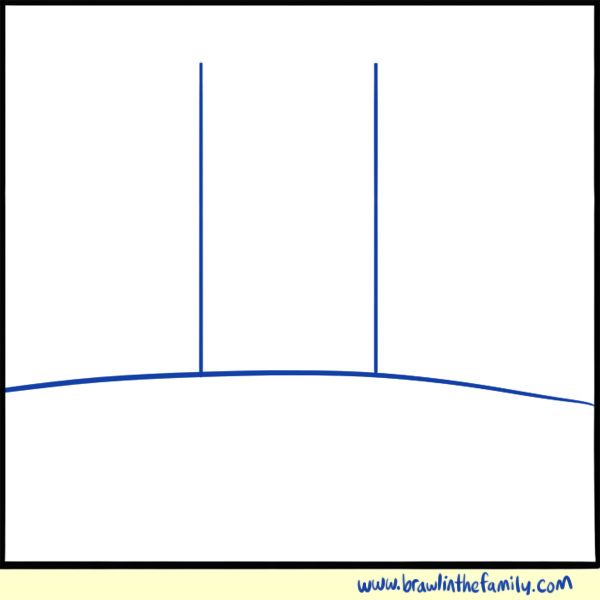 I fear that some of you may be irritated at the lack of visual panache in today’s strip, but I think there’s something to be said for telling a joke with a mere three lines. BitF has often gone for minimalism, after all. In other news, Kickstarter backers should start to receive their digital packages this week. We’re still putting those things together, but most tiers (outside of the highest few) should see some stuff very soon. Thanks for your patience! And if you’d like, let me know what you think of the book in the forum thread about it. See you guys Friday, where I’ll attempt to tell a joke with two lines.